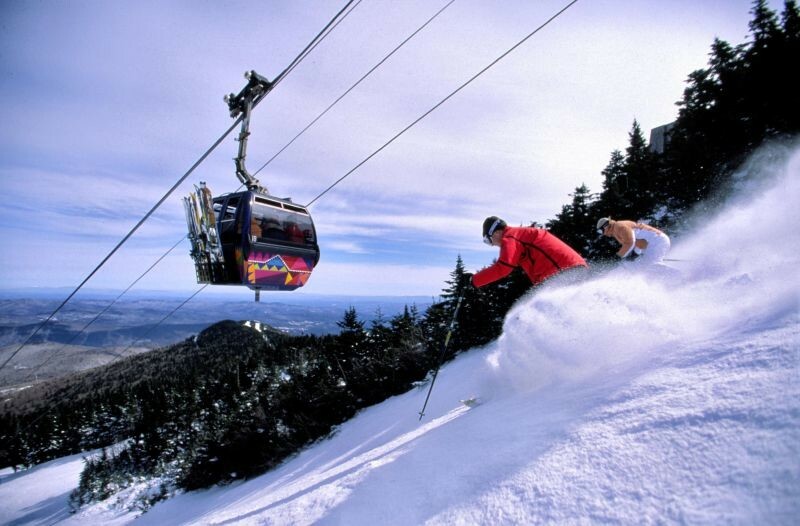 What are the ski conditions like right now at Killington Resort? Read commentaries and see photos from fellow skiers and riders sharing their on-mountain experiences. Check back daily for new user-generated firsthand reports from Killington Resort to see ski conditions, new snow and general stoke from the slopes along with images. Firsthand reports are submitted via the OnTheSnow Ski & Snow Report App. Download the free app to be part of the conversation. Mon thru Thurs great but by Thurs p.m. snow WET. Friday w/ rain was a bust - can u say slush? It’s gonna get worse. Great powder everywhere from the storm, along with high wind gusts. Nevertheless a great day!! Went up the last couple of days and even though some trails are closed it’s still a blast. Little icy in the shade or ungroomed areas but actually got a small layer of powder in spots which is fun.